Toy collecting is hardly the name to give to a teddy bear collection, after all teddy bears are not mere toys. I guess that is why a whole new word was created to describe someone who collects bears, an Arctophile. So why does someone decide to collect teddies, well there is no simple one answer. I have met hundreds of people who would call themselves bear collectors and I'm not two of them have the exact same reason for their sometimes obsessional hobby. However there are some main reasons I can give which may ring true with why you yourself began collecting or perhaps are thinking of starting a collection. But remember whatever the reason behind your toy collecting; it is a completely valid one and one that you should not be ashamed to admit to. Say it out loud, "I am a Teddy bear collector". Of course many bear collectors do it purely for the fun and enjoyment of it. 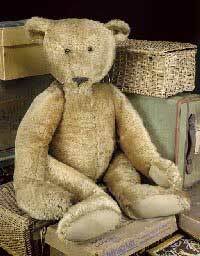 Many enjoy the simple joy of coming across an unwanted bear in a charity shop or at a jumble sale. Taking it home, cleaning it up and giving it pride of place amongst the rest or the Teds. In fact many serious antique teddy bear collectors probably started this way. Perhaps as a child or later when they realised that just the sight of a teddy would bring a huge smile to their face. Artist bears also are often extra adorable and often collectors seek to buy new bears made by certain artists because they simply like their uniqueness and dare I say it cuteness. The fun of waiting for the next bear to be hand made by your favourite artist can become almost like an exciting obsession. You simply have to have that next bear for your collection. Collectible bears can come in all guises and at all price points and this is what makes collecting for fun such an accessible hobby. Some of course may enjoy bears but also enjoy the financial gains they can make through purchasing and selling old and vintage bears. The excitement of finding a rather tatty or forgotten bear which turns out to be an early Dean's or Merrythought can in itself provide all the thrill needed to keep expanding their collection. Of course as time goes on many bears, which a few years ago may not have seemed to be worth collecting, may now be commanding higher prices and this is another reason why Bear collecting will always be on the rise. 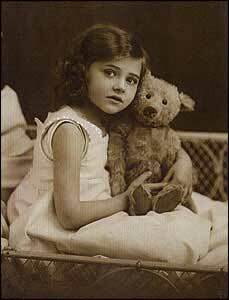 This third reason may seem a little strange but for those amongst us who love to look back into our human past and see how we have developed and been affected and changed by certain periods in history, will also find a fascination in the social history of teddy bears. In fact every toy bear comes with its own story, some more prominent than others. For instance, some bears survived the world wars and were there to comfort of times of sadness and hardship. These are the sorts of bears people hung onto and the story of their owners lives and the circumstances of the time remain with them, often with stories being handed down through the generations. Bears which come with photographic and or written evidence of their previous lives and that or their owners can command a very high price indeed and are often very sort after by the serious bear collector. Often bear collecting comes out of a childhood love for the teddy bear, with the first bears owned being the catalyst for ever growing collection of bears. 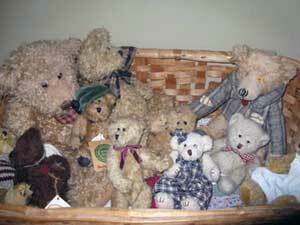 Many of my friends have hundreds of bears, many which they owned as children and simply cannot bear to part with. They hold many memories and although not worth a lot in monetary terms are beyond priceless in terms of emotional value. Often these collectors simply buy more bears with their heart and I love them for it as they are preserving some of the simple and unremarkable bears of today for future generations. Whatever the reason for toy collecting of antique teddy bears, artist bears or modern manufactured bears; it should be praised, enjoyed and above all continued.